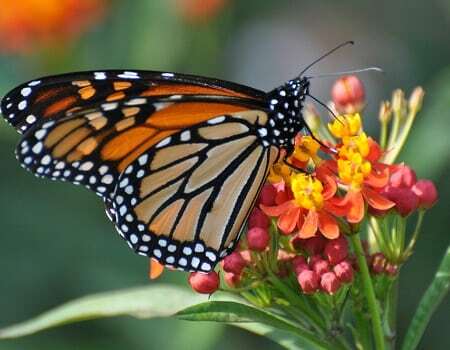 South Florida is the year-round home to the monarch butterfly! At Flamingo Road Nursery, we are committed to helping our community create simple and sustainable gardens that will allow this beautiful and vital pollinator to thrive. Our complete Butterfly Plant department stocks a full assortment of nectar plants to attract the butterflies and host plants for the caterpillars to devour! Flamingo Road Nursery provides butterfly gardens to residents of Davie, Weston, Sunrise, Plantation, Miramar, Hollywood, Pembroke Pines, Fort Lauderdale, and surrounding FL communities.